The 2018 Thor Chateau 30D bunkhouse is one of the newest in the fleet. 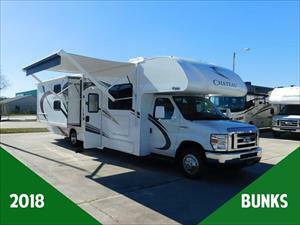 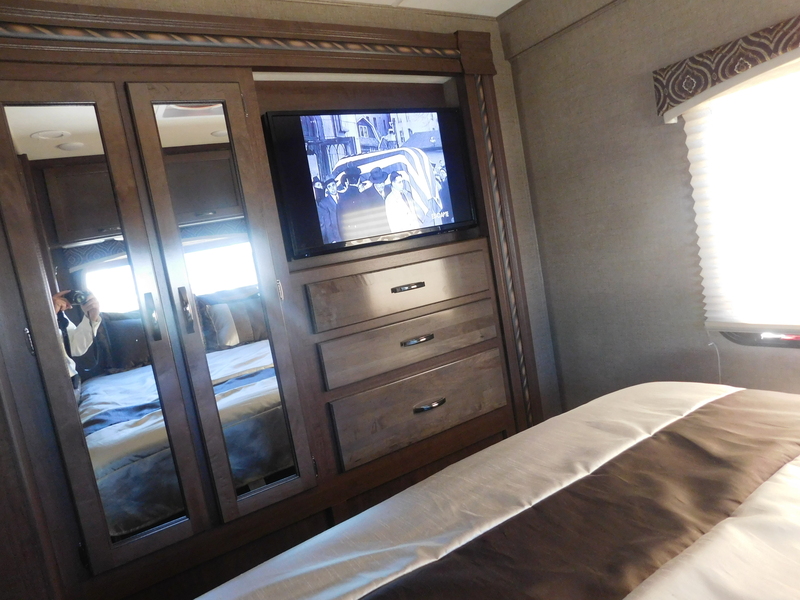 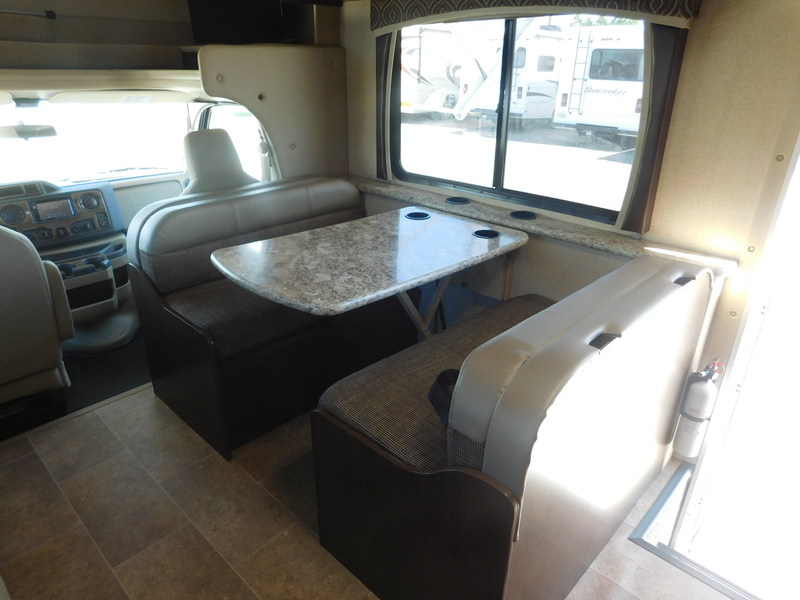 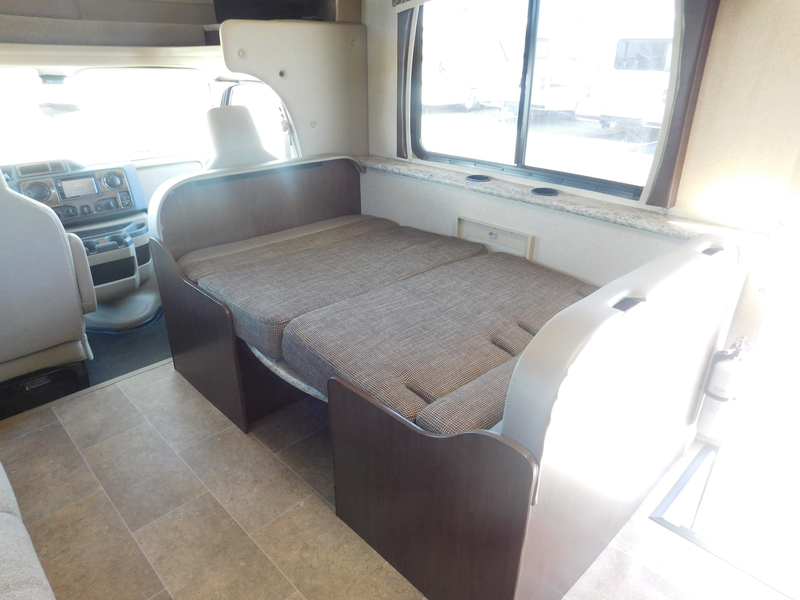 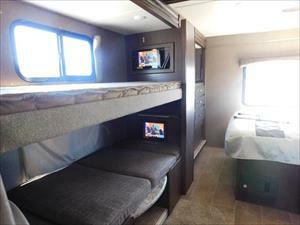 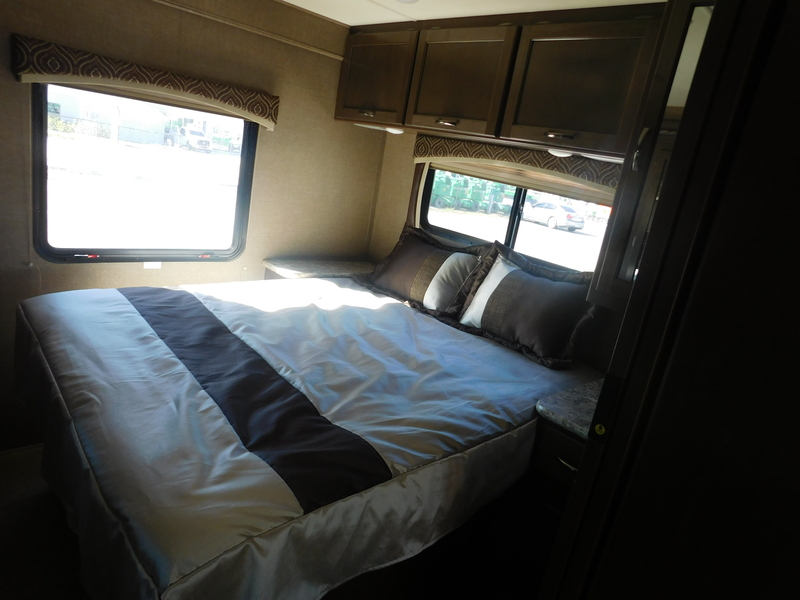 This spectacular RV with two slides RV offers sleeping areas for at least 8 with a queen size in the bedroom, bunk beds, a jack-knife sofa, dream dinette and a 54′ x 96′ cab-over bunk. 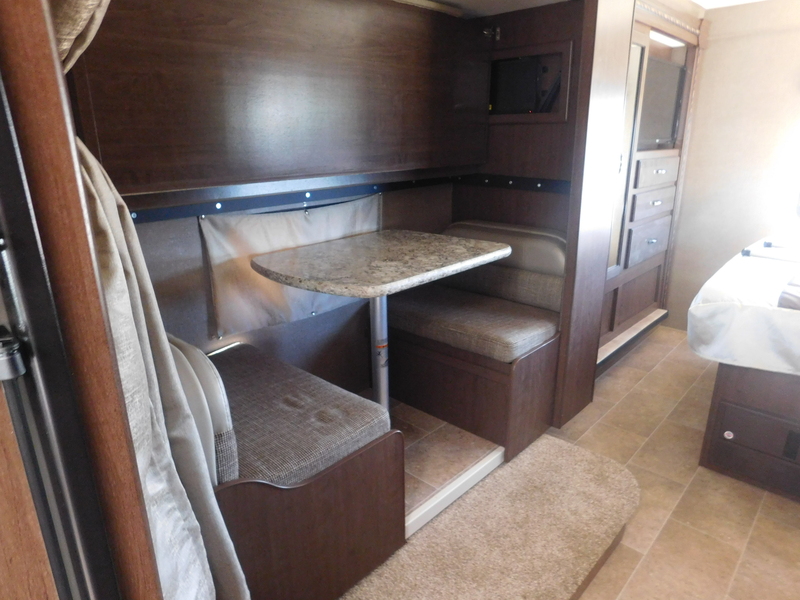 The bottom bunk converts into an extra dinette area where guests can relax and visit, play cards or board games. 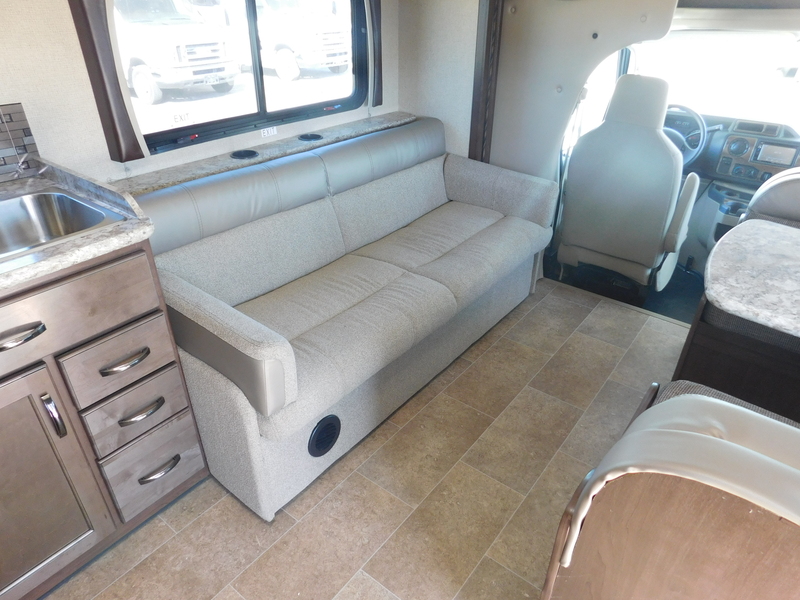 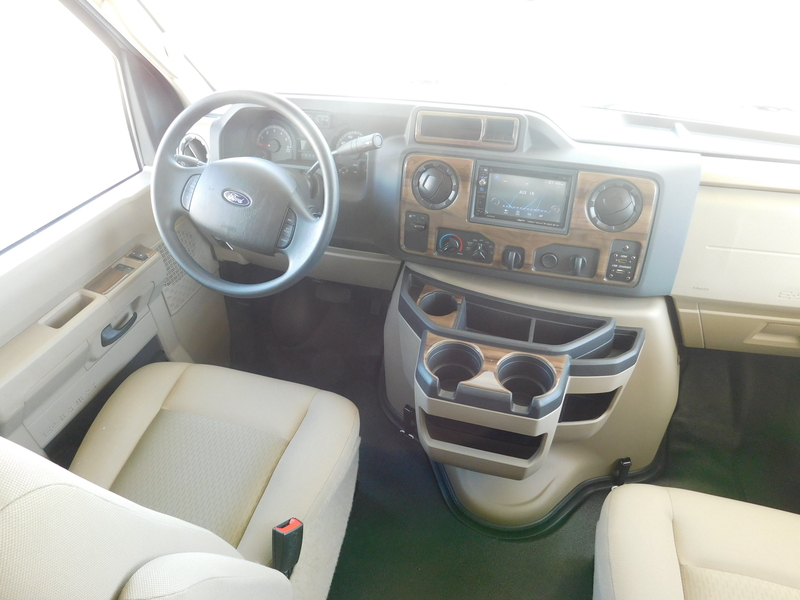 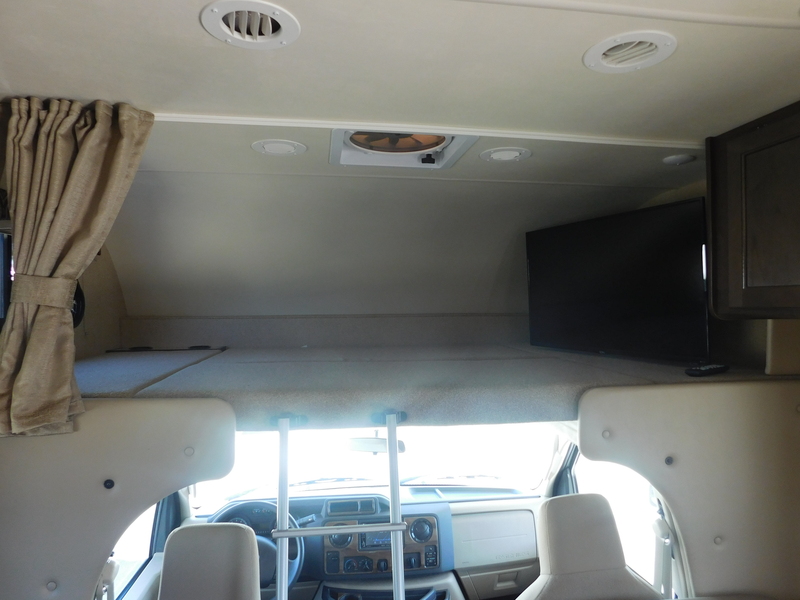 Of course, it features all of the amenities of home including a 40″ LED TV up front, 32″ LED TV in the bedroom and one outside for when you are picnicking or tailgating under the automatic awning. 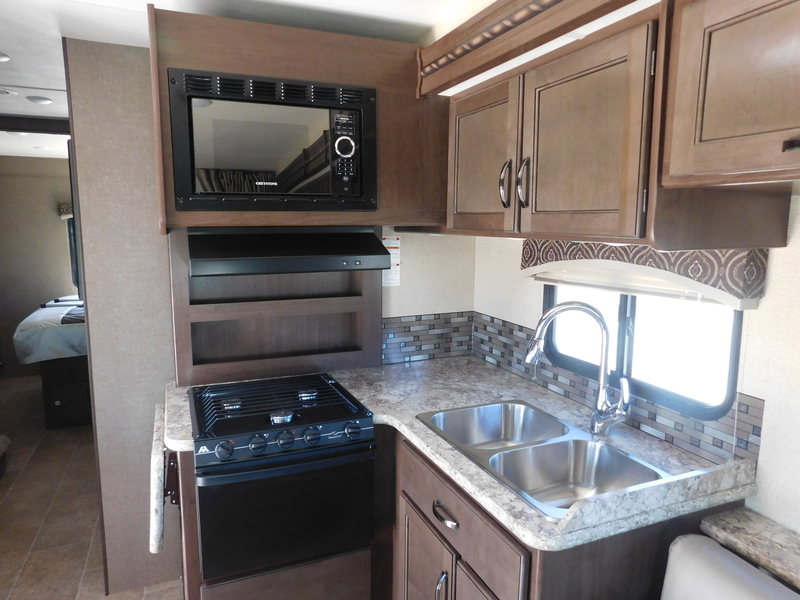 Kitchen and bedding kits are available for rent along with various other items such as camping chairs, picnic table, a barbeque grill and SATELLITE TV. 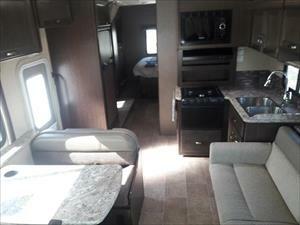 Pre-paid sewage evacuation also is available. 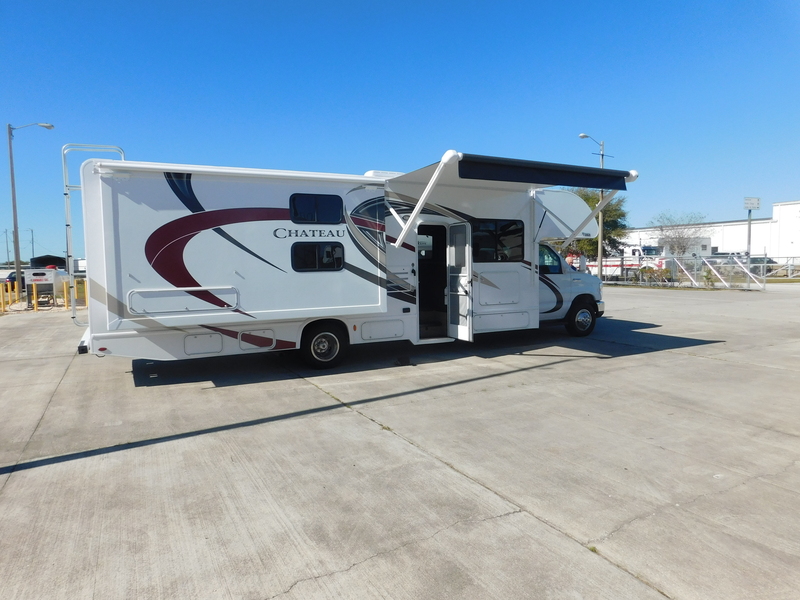 For added convenience, park your car on our secured lot during your RV excursion. 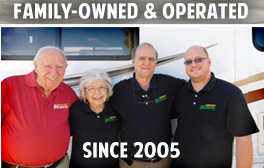 If there is anything else you are looking for, just ask!